CITY OF SADNESS Moore and Bondi share fleeting time together. Dry eyes are not an option for this 1937 Depression-era masterpiece, about an elderly couple forced apart by economic and familial circumstance. 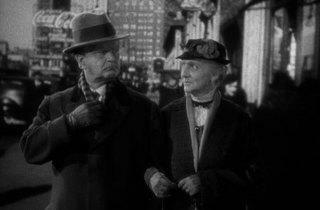 All of the hardships that befall Barkley and Lucy Cooper (the unforgettable Victor Moore and Beulah Bondi) are wrenching, because the film never trades in easy sentiment. Take the opening scene, in which husband and wife announce they’ve lost their house: The news and reactions to it are treated with matter-of-fact detachment, the emotional devastation unexpectedly deepened when Barkley ponders at length whether the foreclosure agent was wearing a bathrobe or a kimono. The guiding hand is clearly that of Leo McCarey, a director known mainly for comedies (the Marx Brothers classic Duck Soup), who here deftly intertwines the droll and the dire. Barkley and Lucy are on separate ground for most of the story, each living with one of their increasingly exasperated children. 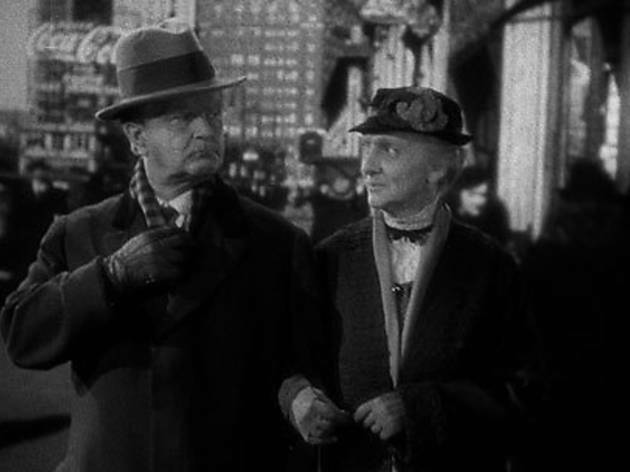 McCarey unwaveringly follows the couple in tandem to their sobering final scenes (studio head Adolph Zukor gave the director hell for refusing an upbeat conclusion) and he never exalts them as infallible fonts of wisdom. The film insists that we empathize with everyone in this impossible situation, and it’s all the more heartbreaking for it.